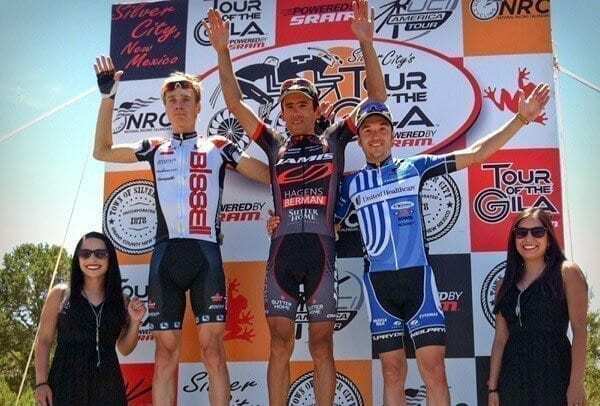 Acevedo, Abbott Take Grueling First Stage at Silver City's Tour of the Gila - SoCalCycling.com - Southern California, Cycling, Cycling News, Amgen Tour of California, Bicycle Racing, Fun Rides, Cycling Event Schedules, Mountain Biking, Cyclocross, Cycling Photos, Cycling Videos, Interviews, Product Reviews. 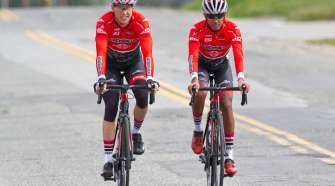 The fields detonated on the final climb to the finish line of stage 1 of the 27th annual Silver City’s Tour of the Gila powered by SRAM when ace climber Janier Acevedo of Team Jamis-Hagens Berman and two-time Gila champion Mara Abbott of Exergy TWENTY16 soared to victory. 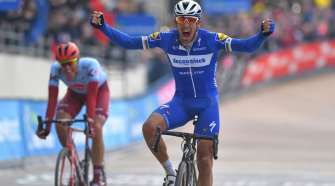 Behind him, the field already reduced simply shattered as the steepness and high altitude took its toll on the main field reduced to 15 riders. It became every man for himself. Lucas Euser (UnitedHealthcare) finished third. Sunny skies and warm temperatures greeted the racers this morning in Gough Park, Silver City for the start of New Mexico Premier Road Race. A four-rider break quickly emerged from the field which was happy to let them go for the next 60 miles. Jason McCartney (BISSELL), Christopher Williams (Team Novo Nordisk) and Landis/Trek teammates Paul Thomas and Jared Gilyard increased their gap up to 13 minutes before being reeled in one by one by the final climb. With his win, Acevedo also took the lead in the Freeport McMoRan Copper and Gold King of the Mountain classification. By claiming the two intermediate sprint points after a long day in the break, Williams claims the green Grant County sprint jersey. On the strength of his ninth place finish, Gavin Mannion (Bontrager) now wears the white Champion Best Young Rider jersey. Abbott’s solo climb on the very difficult Mogollon Rd. sealed an easy win for ExergyTWENTY16 on Stage 1 of the Silver City’s Tour of the Gila Powered by SRAM. McGrath tried to position herself throughout the race. 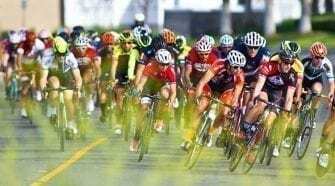 She tried to break from the main field several times, as did Brianna Walle and Jade Wilcoxson (Optum p/b Kelly Benefit Strategies), Robin Farina and Olivia Dillon (NOW and Novartis for MS), and Rushlee Buchanan (Team TIBCO). The field did not allow any breaks throughout most of the race. As the riders came up to the Mogollon Road climb, the field had narrowed to 15 riders. Abbott’s team mate McGrath finished in second. Kathryn Donovan (NOW and Novartis for MS) came in third. With her win, Abbott also took the lead in the Freeport McMoRan Copper and Gold Queen of the Mountain classification. Brianna Walle (Optum presented by Kelly Benefit Strategies) claims the green Grant County Sprint jersey. On the strength of her 14th place finish, Rushlee Buchanan (Team TIBCO) now wears the white Champion Best Young Rider jersey. Racing continues on Thursday May 2 with stage 2, the Inner Loop Road Race which starts and ends in Fort Bayard.